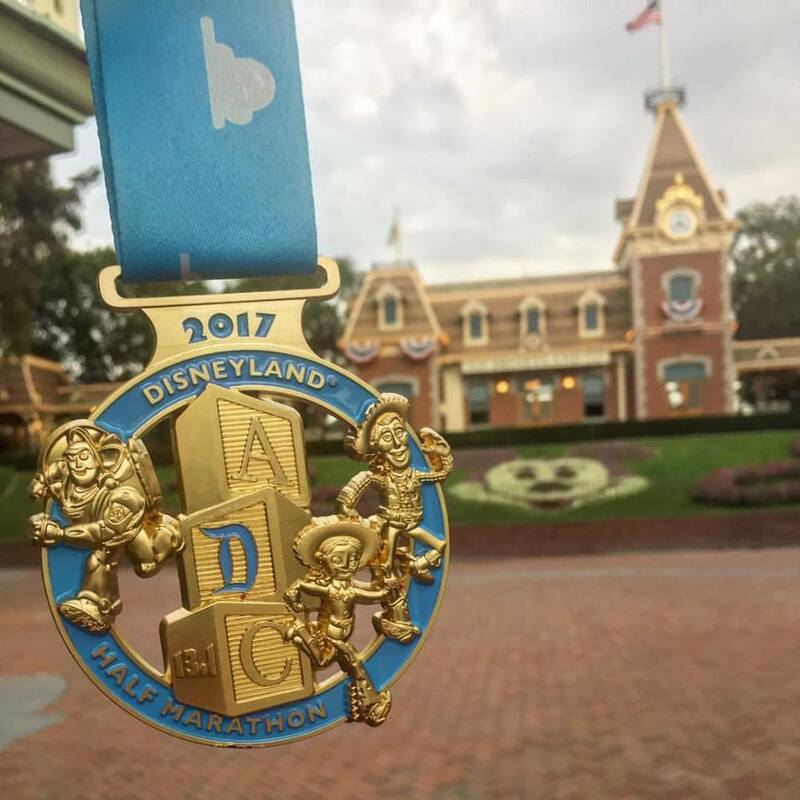 I ran the 2017 runDisney Disneyland Half Marathon on Sunday morning. But before we get into the recap, are you all caught up on what went down to get me to this point?! 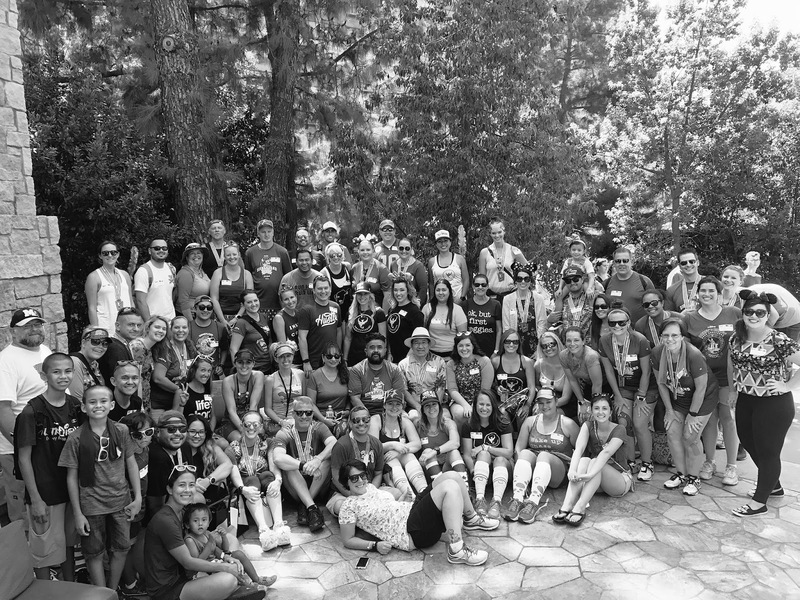 Make sure to read (or at least humor me and quickly scroll through) the post about Cigna's Blogger Meet-Up and the recap for the 2017 runDisney Disneyland 10K so that we are all on the same page. Done?! Okay, good, let's move on! 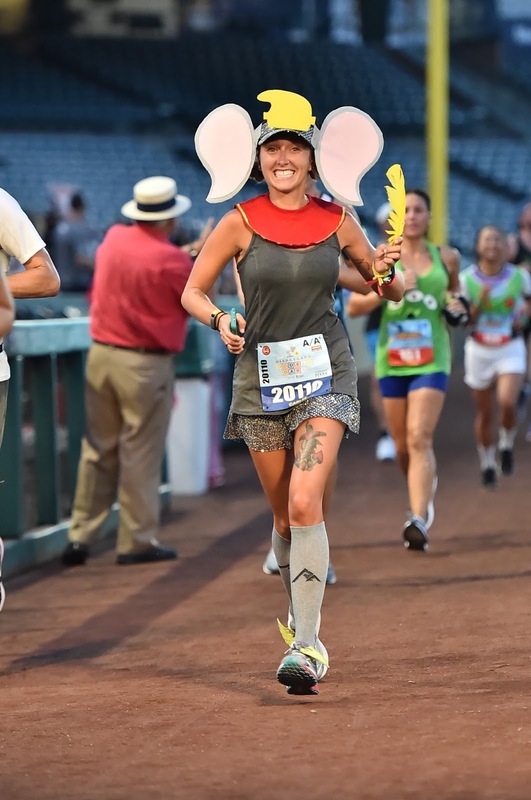 As I mentioned in the Disneyland 10K recap post, the Disneyland Half is part of a bigger challenge - the Dumbo Double Dare Disneyland Double Dare (the name was changed this year and I may be a little bitter about it, but more on that later). I actually have run the challenge (which includes the Disneyland 10K on Saturday morning and the Disneyland Half Marathon on Sunday morning) since it was introduced in 2013. 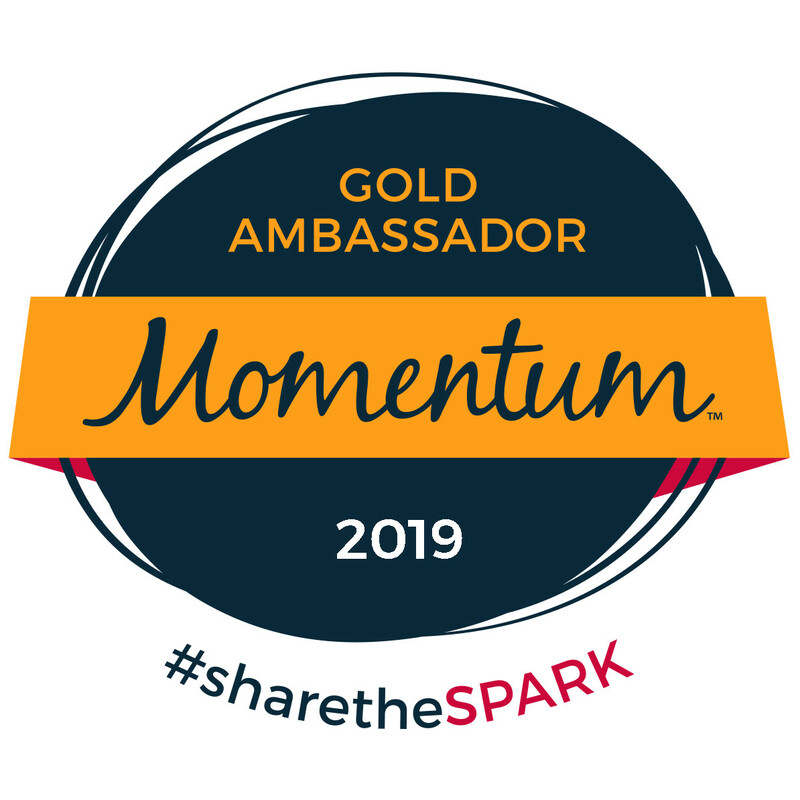 That means I am a "legacy runner" (although, except for bragging rights, there isn't much more you get because of it). Just means I'm crazy enough to pay the high registration fees TWICE and get up at zero-dark-thirty TWO days in a row. 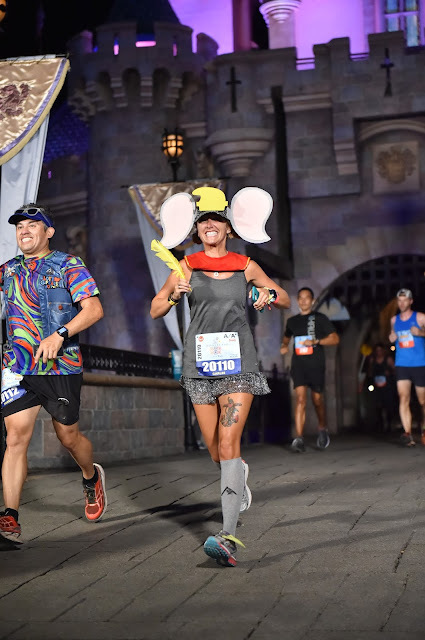 But before we get to wake-up calls, let's do a quick rundown of what happened between the finish line of the Disneyland 10K and the start line of the Disneyland Half. It can be summarized with the three F's: Food, Football and Friends. There was a #WeRunSocial meet-up scheduled for 1pm, so you know the hubby and I had to head over to Trader Sam's to hang out with everyone! It was great getting to see everyone, but I swear we never have enough time (or maybe the crew just continues to grow so I feel like I can't hang out with everyone enough). Once we were fed and hydrated (there were heat advisories in effect for the race, so pre-hydrating was a MUST), it was time to foam roll, stretch and make sure I had everything I needed for the following morning's race. my Garmin Forerunner 735XT, and Brooks Ghost with reflective Shwings. Similar to the previous morning, my game plan was to leave the hotel by 4am so I could get over to the staging area by 4:30 which would leave me with plenty of time to grab some water, hit up the potty and make my way to my corral. Everything worked out perfectly and I was in my corral around 4:45am, awaiting the countdown. I know, I know, I keep mentioning the heat, but when we started it was already in the 80s and the humidity was around 85% - and that was before 5am! If you haven't run in these kinds of conditions before, let me just tell you, it's NASTY! When you are sweating before you start the race you know you're in for some harsh conditions. There was a slight delay in the race start (they never really announced what the issue was, just that they were waiting for the all-clear), but eventually it was time to cross the timing mat and set off into the streets of Anaheim. Technically I was supposed to have a 16 mile workout Sunday morning (the first eight miles being at 8:00/mile pace and the last eight might at 7:35/mile pace). I chatted with my coach and let him know I wasn't sure if that would pan out. 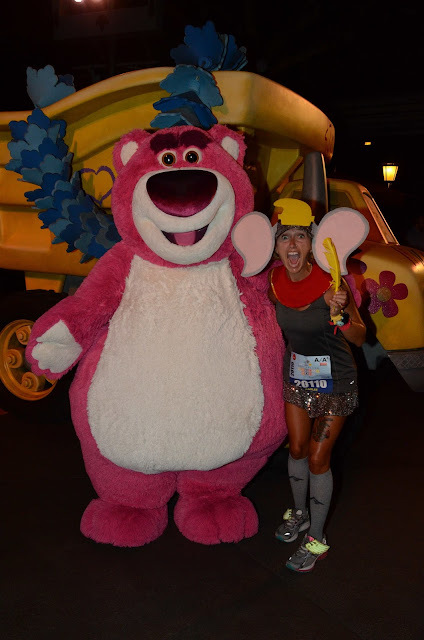 First, these runDisney races are pricey and I wanted to be able to enjoy it. Next, I hadn't run with the ears before and I wasn't sure if they'd be difficult to run in (spoiler alert: other than the visor slipping down my forehead because of the extra weight I didn't notice any wind resistance or anything). Finally, with the elements being as they were, I wasn't sure how much gusto I'd have in my tank. He told me to take it easy and do what I could (but, most importantly, HAVE FUN!). Running through the castle with my friend Robert! The World of Color is so beautiful! With the thumbs up to "have fun" (and the fact that I was in Corral A so would have to deal with less people waiting in line) I decided I would grab pictures with as many characters as I could. Since Disney only has characters on their property, I knew the photo ops would be limited to the first three-ish miles. My plan was to have #AllTheFun in the parks and then maybe get a little more focused on pace once I hit the streets. 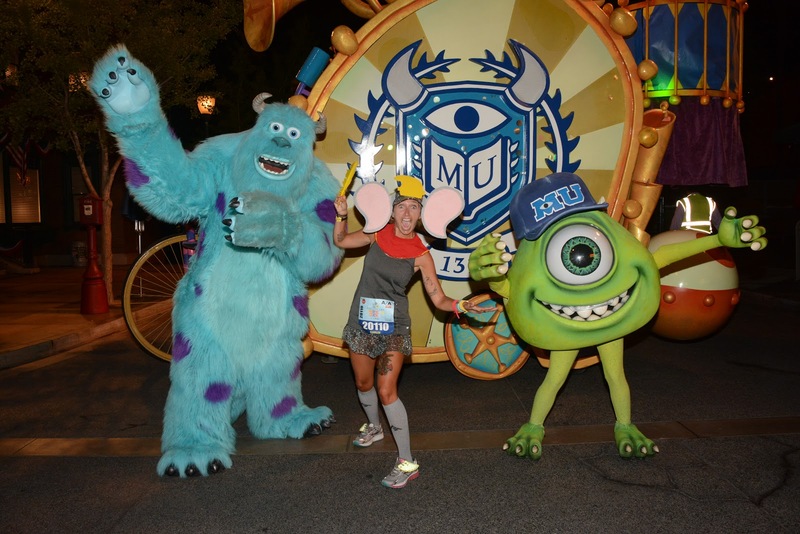 We skipped Mike and Sully on Saturday, but I was sure to stop on Sunday! SHUT THE FRONT DOOR! I've never seen the three of them together before! 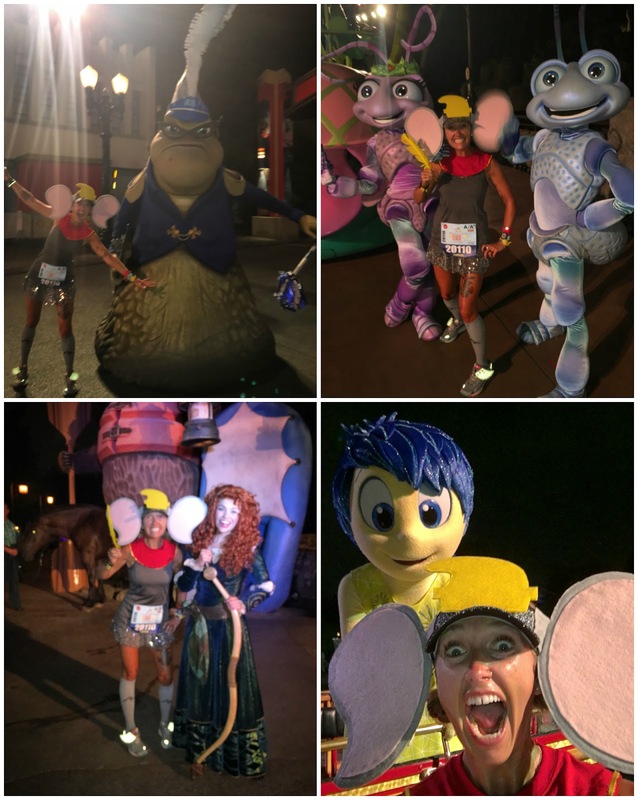 Bottom Left: Bad lighting made Merida super blurry / Bottom Right: I'm covered in sweat and JOY! I wanted to note something about this race. 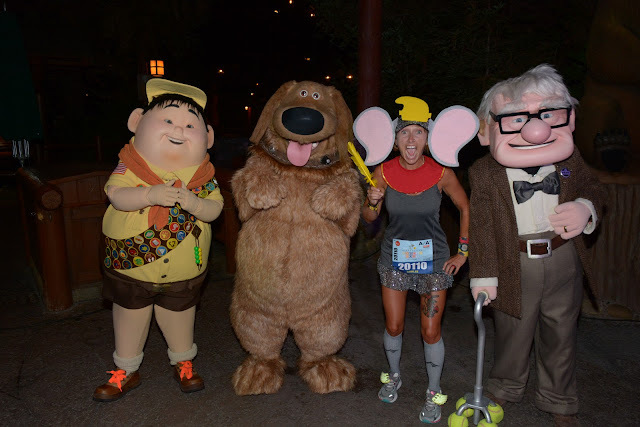 Normally it is my favorite Disneyland race. I love that we get to run through Angel Stadium, the classic cars are amazing, the entertainment (bands, dance troupes, cheer squads, etc) have awesome energy, etc. Due to Star Wars Land (I'm not sure if that's really what they will be calling it or not) and apparently some homeless encampments, the course was changed a bit. I'm not sure if this caused the adjustments or not, but it seemed like there were a lot fewer classic cars and marching bands. Maybe the weather kept folks away, maybe it was the earlier start time (in the past the race has started at 5:30am), maybe the magic is just wearing off, I'm not 100% sure what it was, but I sort of ran away feeling a little disappointed. Although I enjoy running along the Santa Ana River Trail and was a little bummed that the course was changing, I do have to say that I liked the portion around town better than in years past. I felt like we went over fewer overpasses and weren't necessarily running directly into the sun as much as we had previously (but that might also be because of the earlier start time). I'm sure they'll change the course once the new Star Wars portion opens, but I didn't hate it. Apparently I didn't stop completely because these pictures are quite blurry - OOPS! 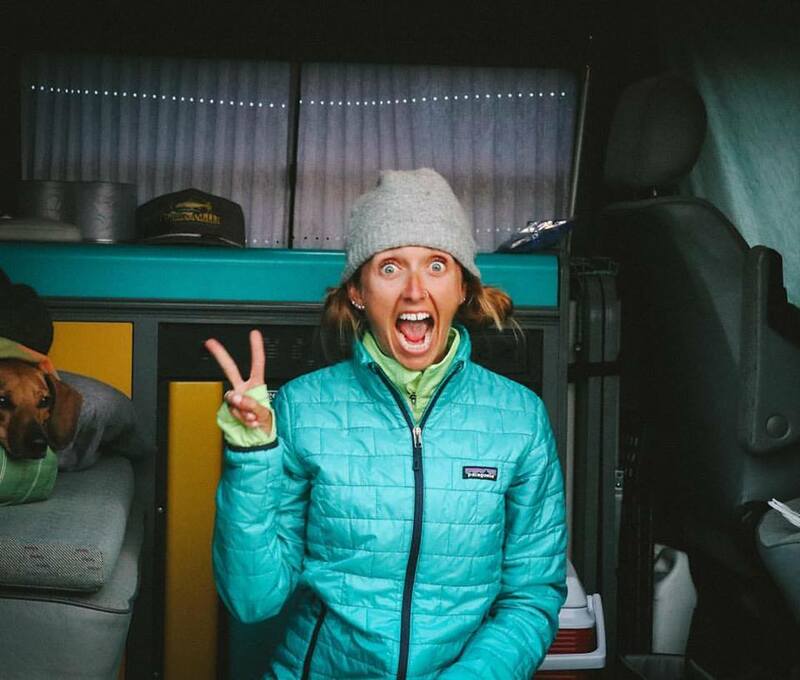 At the next aid station a volunteer handing out water said he thought I was the 23rd female. Well, if I needed a fire under my booty, this was it. runDisney races are fairly big (8,000-15,000 runners normally), so to hear I could potentially finish in the top 25 females was awesome. I decided to try and catch as many ladies as I could over the next five miles. Don't get me wrong, I was still listening to my body, walking through water stops to grab both Powerade and water, but I did my darnedest to push the pace and not let anyone pass me. The hubby was hunkering down around Mile 12.5 (I had texted him when I hit Mile 10 and 11 so he knew to be on the look out and he told me which side of the street he was going to be on). When I made the turn onto Disneyland Drive I saw him in the distance, so waved my lucky feather at him. He snapped a couple photos and I told him that there was a possibility I could finish pretty high up so I wasn't going to stop to chat (I had just passed two females and didn't want to give them the chance to go by me). He wished me well and told me he'd see me at the finish line. As Linzie once yelled, "I'M NOT STOPPING!" When we were making our way towards the finish line I saw one of my sweet friends and she actually took a quick video of me running by. 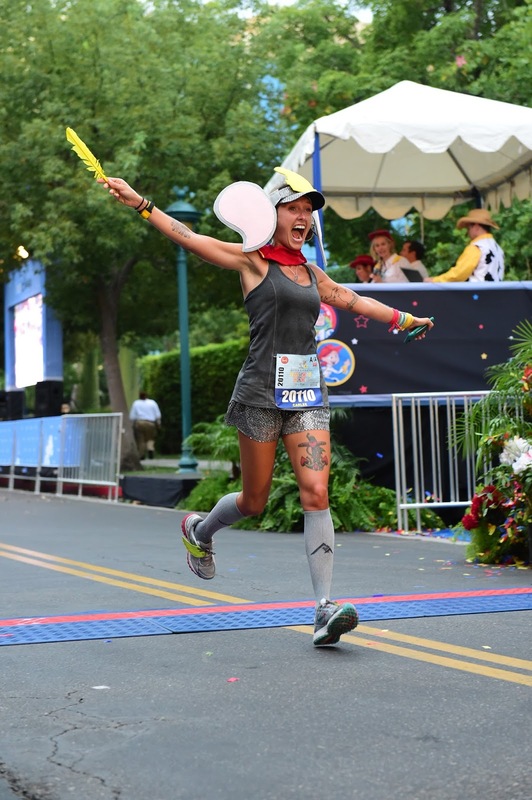 Which reminds me, I wanna give a SHOUT OUT to all the spectators who get up early, chase runners from spot to spot, cheer strangers on and ROCK MY SOCKS! 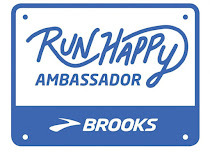 We pay to run these races, but they are out there out of the goodness of their heart (or maybe the guilt-trip from their loved one, hehe) - so THANK YOU! And, in a flash, another Disneyland Half was over. 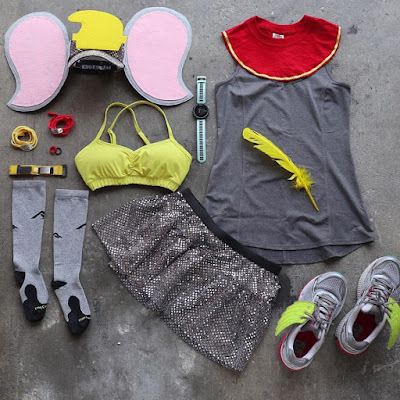 Dumbo soared to the finish and didn't need a magic feather after all! Once I grabbed my bling, water, goodie box and banana, I found the hubby so we could snap a couple quick photos. When you go to take a bling picture and the ribbons are in front of the medals... FAIL! The weather was rough. When we started, it was already 80s and when I finished I think it was 94. I saw the "feels like" temperature was in the TRIPLE DIGITS due to the humidity. Obviously there is nothing runDisney can do about the elements, but man is it a tough sell to get people to come back year after year in these conditions. 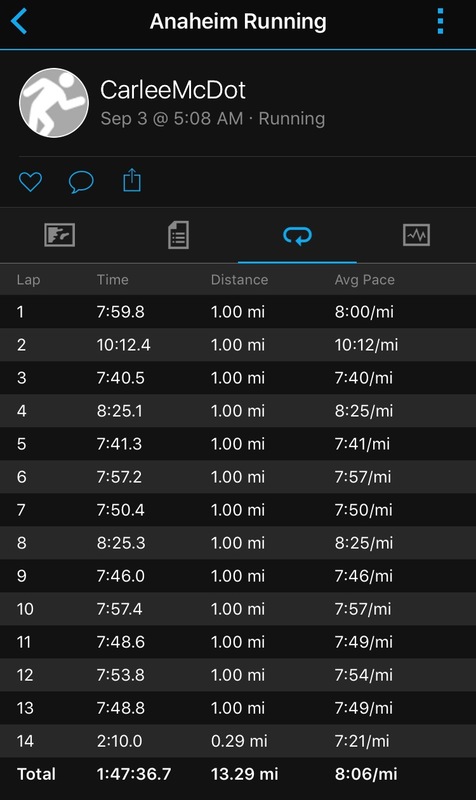 I know I've been complaining about the humidity for months now, but I've gotta say, I think training in it must be helping because when everyone else was starting to pump the brakes, I still had some gas left in the tank to keep chugging along. Oh yeah, and the volunteer who said I was 23rd around Mile 8 was a little off. I think I passed 8 or 9 females between then and the finish line and ended up coming in 23rd female (and 6th in my division), but his comment still sparked some motivation and pushed me harder than had he not have said anything, so it all worked out. Or maybe he was guessing that I would be the 23rd female... and if so, then CONGRATS SIR, you deserve some sort of prize! considering, I am pretty proud of how I finished the race. Now the tricky part... Will I be back for a SEVENTH time? 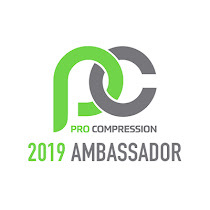 I've gotta be honest, in the past I would have said ABSO-FLOGGING-LUTELY almost immediately, but now there's some hesitation in my registration finger. The weather is always an issue (August and September are our hottest months), the prices are high (it was over $350 for the challenge) and the bling was disappointing (I may be the only one who thinks it, but I liked the continuity of the medals before... now it seems like anything goes). 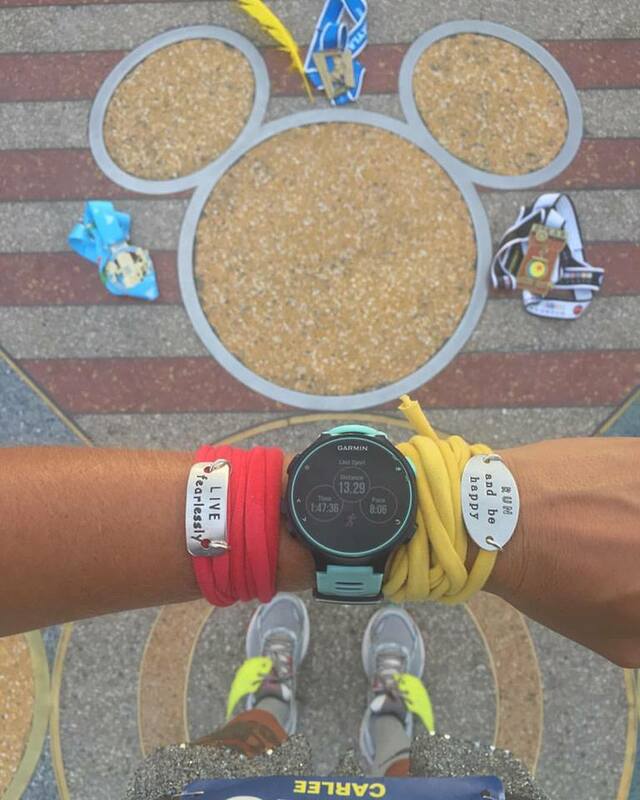 These runDisney weekends are always about more than just the miles, but when said miles are hot, humid and high-priced, it makes you think long and hard before spending your precious pennies. Only time (and maybe a little bit of friendly peer pressure) will tell if I come back for another go. "Disneyland"... This makes it seem like I was running the Toy Story Half Marathon. 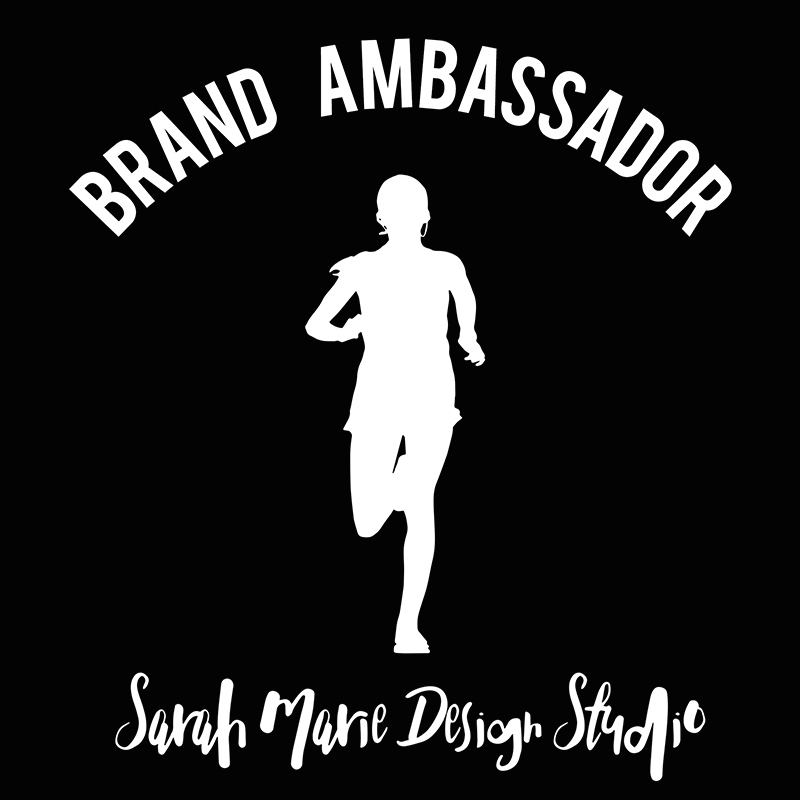 Do you have legacy status at any of the races you run? I was kind of sad to miss this for the first time in five years...but reading this I don't feel TOO mad. I didn't love the medals either. Congrats again on the great finish!! Congrats on your top 25 finish! That's incredible and you were certainly flying when you passed me! The heat reminded me of 2013 - gross! So amazed at all of you that ran it (and SO glad I wasn't! Haha). I remember hearing on FB the classic car group wasn't officially invited this time and we saw a sharp decline in marching bands and community groups at Tink too (and in that race the Red Hat Society didn't come because their partnership with rD fell through). I think it all has to do with rD on the west coast moving from volunteers to paid temp staff. Rumor also has it that they'll be cutting all halfs from DL... only time and an eventual announcement about Light Side and/or Tink will tell. 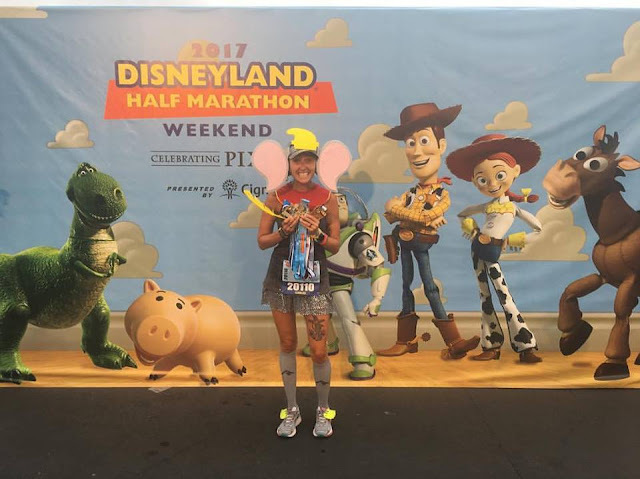 The 2011 Disneyland Half was my 1st half, and I've been back every year so far. And I've done all the Double Dares, too! I thought the new course was an improvement. And, most definitely Yes, there were fewer bands and cars than before. But I think this was my last Disneyland Double Dare. Like you said - it was hot, and it's hard to train through the summer here in Florida! This old body (I consider myself to be officially old, having just turned 70 the day of the Disneyland 10K), this old body doesn't like running 13.1 miles at a time anymore. Running the double dare also made it hard to enjoy Disneyland because I tried to stay off my feet before the races and was tired after them. And the parks are always crowded on Labor Day weekend. Congrats on your great races and your entertaining recaps!